Does the Nikon 50mm f/1.4 D Still Measure Up? The Nikon 50mm f/1.4 D is one of those lenses that has stuck around for a reason. It’s a fast standard focal length prime lens, which was first released in 1995 and can still deliver the goods. Accurate images with great resolution, a very usable f/1.4 aperture and is happy to produce accurate images even against today’s supersharp lenses. In this review we will see how the Nikon 50mm f/1.4 D works in a modern environment and see if it still measure up against other 50mm’s from other makers. The visual layout of this lens implies an older design. The white and orange numbers on the aperture ring denote a bygone decade. Aperture range is f/1.4 – f/16 with a lens construction of seven elements in six groups and a seven blade diaphragm. Although the lens has autofocus, its a ‘Screw drive’ setup which means it can only be used on D1-D3 and D100-D700 bodies. the filter thread is 52mm and doesn’t rotate when focusing so you can happily use whatever filter you want. There is an optional HR-2 lens hood, with no real mounts for a lens hood so you could opt for third-party offerings and, with everything included, the lens weighs in at a reasonable 230g (8.1 oz). The lens isn’t the most expensive, but neither is it the cheapest and this is reflected in its construction. The F mount is made of metal with the lens barrel being made of very solid plastic. 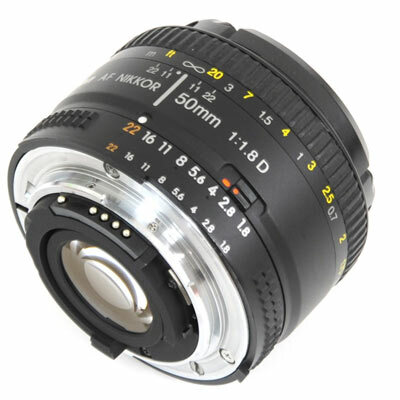 The very front element is recessed, a common sight on a 50mm lens and will help to battle with lens flare, with all focusing being done internally. As well as the traditional aperture ring, which can be set up with a custom function on high-end camera bodies but redundant on low-end bodies, there is an 8mm focus ring which has very smooth operation with close focusing going down to a minimum 0.45m. A standard distance scale is provided for feet and meters, along with infrared marks and depth of field marks for f/11 and f/16. As a note, these markings are for a 35mm camera body. Although, the Screw drive autofocus loses all its duties on entry-level camera bodies, meaning that on cameras like the D60 you have manual focus only. If you can live with manual mode than the lens will fit all Nikon DX and FX formats. The Nikon 50mm f/1.4 D can be used on both DX and FX bodies, but not without its caveats. On a DX body a lens such as this one which is made specifically for 35mm, needs to be stopped down from wide-open f/1.4, starting to hit its stride f/2.5. This is a commonality to most full frame lenses used on a crop body. If you’re happy to go to no less than f/2.5, then you will see sharp images across the frame with low distortion. Here optimum sharpness hits around f/4-f/8. The lens copes well with chromatic aberration and distortion being at very low levels. On an FX body, in many ways, the lens has the same issue as on a DX body in that it really needs to be stopped down from wide open to get the sharpest images across the frame. It’s a little less on an FX body at f/2 when you hit sharpness across the whole frame, but it also has to be said that the image sharpness with such a shallow depth of field does also come down to the shooting situation and individual focusing issues. The bokeh or background blur is a wanted feature for any type of lens with f/1.4. The Nikon 50mm f/1.4 D can definitely give you blur for days, along with its 7-bladed aperture, but possibly not as creamy or distinctive as other lenses. The best course of action is to stick to simple backgrounds if possible and not too contrasty colors. Wide open at f1/4 the lens can display vignetting, but just like above, all problems seem to go away once you stop down. Above f/4 seems to cure all ills and that’s fine if you just want the ultimate in sharpness, but it would also be nice to get this level at f/1.4 as this is one of the main reasons for owning a lens such as this one. We are almost spoiled for choice when it comes to 50mm lens types, especially if you take in all makes and models. The Sigma 50mm f/1.4 EX DG HSM maybe almost twice the price, weighs twice as much but has much better autofocusing, nine diaphragm blades and a better overall unit. The Pentax SMC FA 50mm f/1.4 is a cheaper option with the same ‘Screw drive’ autofocus, but the Nikon takes it in overall functionality and image quality. There is always the more budget priced Nikon 50mm f/1.8 with the same build quality, but it’s really down to if you need the facility of f/1.4. In this way, the Nikon sits nicely in the middle of price and the quality you get for your money. But as all these things, it really depends on what your priorities in a 50mm lens. Lenses stick around if they are still useful and this seems the case with the Nikon 50mm f/1.4 D. There’s clearly caveats to the lens, mostly centered around it needing to be stopped down to get optimum sharpness. The Sigma 50mm f/1.4 EX DG is much better wide-open and a better overall proposition, but is also a consideration that most lenses at f/1.4 suffer from some sharpness issues wide open, so don’t let this put you off. The Nikon 50mm f/1.4 D also has small amounts of vignetting along with small amounts of chromatic aberration wide open but again cured when stopped down. The other big caveat is that the autofocus is manual only if you want to use this on a lower spec body such as the D60. 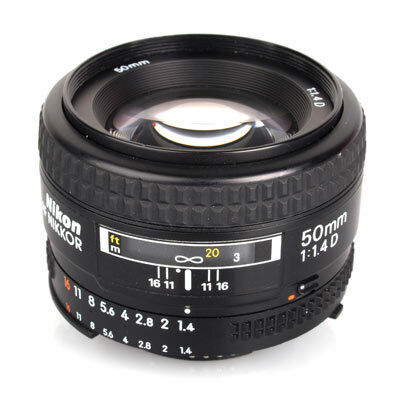 The Nikon 50mm f/1.4 D will work well on a top end Nikon body and can offer the advantages of a wide-open prime lens. As long as you’re happy stopping down a bit the lens produces fantastic sharp images and is a nice happy medium if you consider its price point and long-term functionality. Previous Post« Previous The Leica X-U (Typ 113) Taking the Crown but at What Cost?